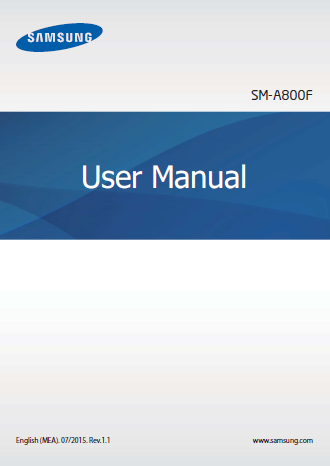 The Samsung Galaxy A8 (SM-A800F) User Manual is consist of 110 pages with file size of 1.11 MB. It's available in english language. This manual provide detail reference information such as learn phone basics for example about device layout with key functions, tutorial how to Charging the battery, Battery charging tips and precautions, Ultra power saving mode, Installing the SIM or USIM card, Using dual SIM or USIM cards, Installing a memory card, Formatting the memory card, using home screen and more. Then about Connecting to other devices, Screen Mirroring, Transferring data from a mobile device, Transferring data from a computer, Updating over the air, Updating with Smart Switch, Backing up and restoring data, Using a Samsung account, Performing a data reset, Connecting to a TV, Sharing files with contacts, and Installing or uninstalling apps. 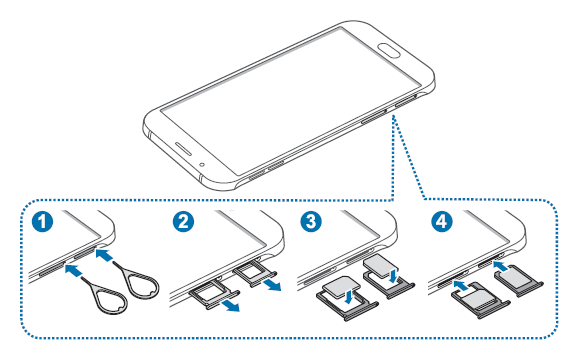 Other important information in the Samsung Galaxy A8 pdf manual such as about using phone calls, sharing profile, using internet, camera, email, Taking photos or recording videos, Using the Smart manager, using s planer and voice, Recording voice memos, and phone settings guide like Connecting to a Wi-Fi network, Bluetooth, Mobile hotspot and tethering, printing guide, Motions and gestures, wallpaper setting, Fingerprint recognition, safety, and more.